China has been attempting to woo Baloch leaders and local political parties to safeguard CPEC, said an expert on Sino-Pak affairs, who did not wish to be identified. The recent suicide attack on Chinese engineers working on the China-Pakistan Economic Corridor (CPEC) project in Balochistan poses a challenge to the Imran Khan government as well as Pakistan Army and signifies a risk that the project faces in a country where several internal conflicts are simmering. The attack by the son of a senior Baloch leader targeting a bus carrying Chinese engineers in Dalbandin, injuring three Chinese nationals, was a rare case of attempted suicide bombing by the Baloch Liberation Army (BLA), according to a keen watcher of Chinese projects in Pakistan’s biggest province. 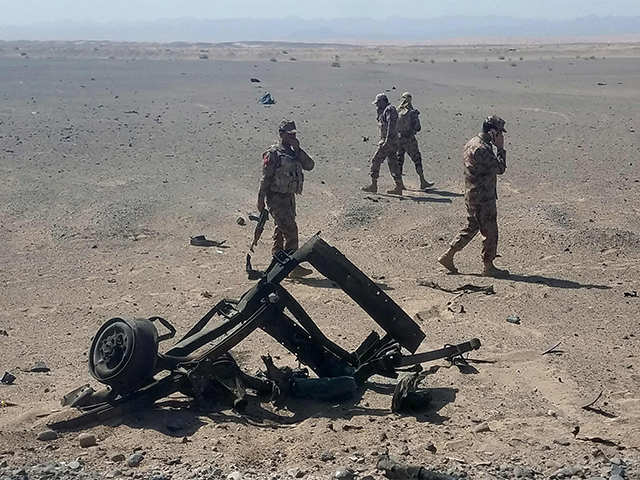 Balochistan, home to Gwadar Port, a key pillar of the CPEC, is embroiled in a separatist movement which has now dragged China into the conflict because of the presence of its engineers working on the project. Smooth implementation and operationalisation of the CPEC will have a massive bearing on Sino-Pakistan ties and therefore both Pakistan Army and China have huge stakes in the initiative. Resource-rich Balochistan demands fair revenue from the projects in the area and greater political autonomy. The area where the attack took place is close to Pakistan’s eastern border with Iran which is also far from peaceful. The long-term answer to the problems of separatism in the region are to be found in political solutions, issues that infrastructure and mining investment will not resolve, and may in fact be exacerbating, Raffaello Pantucci, director of international security studies at the Royal United Services Institute (RUSI) in London, wrote in the Hong Kong-based South China Morning Post with reference to the attempted suicide attack on Chinese engineers. “For separatist groups, the Pakistani state is the ultimate enemy. As Islamabad’s closest friend, Beijing becomes a target by association,” he wrote. China has been attempting to woo Baloch leaders and local political parties to safeguard CPEC, said an expert on Sino-Pak affairs, who did not wish to be identified. But such efforts have not yielded desired results since Baloch leaders are not willing to compromise on their core demands, he said. Nonetheless, China is committed to making a success of the CPEC. A recent article in China’s state-run newspaper Global Times termed the CPEC a “win-win” situation for “iron-brothers (China-Pakistan)”. “Gwadar is strategically located close to the energy-rich Middle East, and it will give China access to the Indian Ocean. It can also offer an alternative trade route to the Strait of Malacca. The CPEC creates a win-win situation, and both China and Pakistan will reap significant benefits from it,” said the article published on Tuesday.